Built as a fortress to withstand wars and battles, Valletta was not meant to be a particularly green city. However, this year, the Valletta Green Festival promises to bring a burst of colour to the otherwise baroque urban landscape of the city. Aside from the infiorata, which was widely talked about last year and which will feature again in this year’s edition of the Green Festival, ancient gardens will also be open to the public for the first time in over 400 years. Valletta is going to be injected with a little green to freshen up its typically stony façade. The infiorata will once again be a primary feature of the Festival. Recalling a tradition which originated in 12th century Italy, the carpet of potted flowers this year will be commemorating the 450th anniversary since Valletta’s foundation. The Infiorata will be designed based on an early map of the fortified capital city, and it will also feature the 450th anniversary logo as unveiled by the Valletta 2018 foundation late last year. True to its theme of sustainability and conservation, the potted plants used for the Infiorata are grown in Wied Inċita located in Ħ’Attard by the Environmental and Landscape Consortium. Then, after the Festival, the plants are distributed across Malta and Gozo to brighten up public spaces. Keeping in line with the celebration of nature and the environment, the Valletta Green Festival will also see the opening of the historic gardens within both the Archbishop’s Palace and Saint Catherine’s Monastery; gardens which are usually closed off to the public. This is truly special, considering the relatively garden-less Valletta, not counting, of course, the public Barrakka and Hastings gardens. The Archbishop’s Palace garden is found at the back of the palace, slightly sunken into the ground, a vision of tranquility and fertility at the very heart of Valletta. 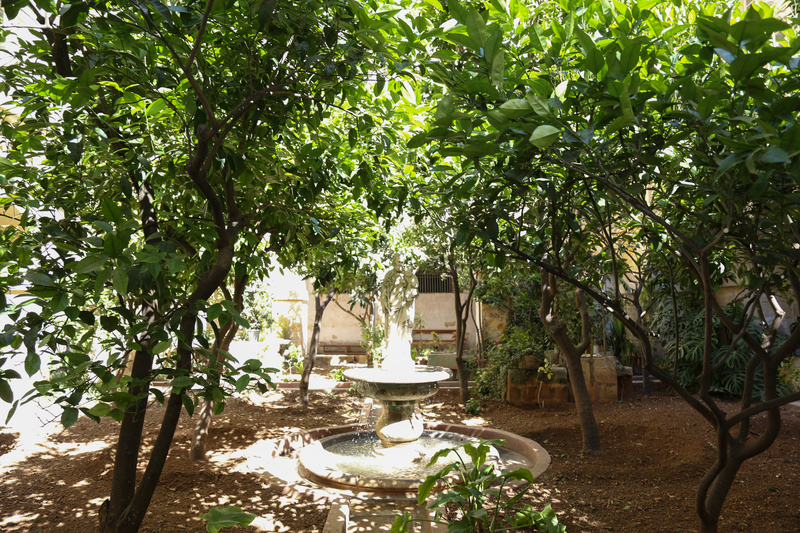 The Saint Catherine’s Monastery’s garden, located off Republic Street, is home to a variety of plants and trees. Aside from these events, the Valletta Green Festival will also feature live entertainment provided by Tikka Banda on Saturday morning, and then a musical night will follow provided by Charles and Friends. The Valletta Green Festival will be taking place between 6th and 8th May, so mark your calendars and get ready to discover a side of Valletta you haven’t yet seen.